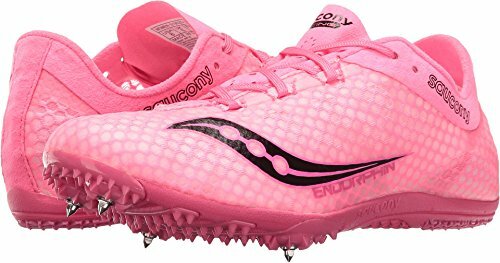 Purchase Saucony Women’s Endorphin Track Shoe, Pink/Black, 9 M US at Discounted Prices ✓ FREE DELIVERY possible on eligible purchases. The endorphin continues to be the lightest distance spike in the market today. The use of lightweight mesh, flex film, and plate design make it optimal for the 2 mile and up.